In recent years, Brazil’s economic growth has slowed while the country has been suffering a period of political instability. Due to the political and economic crisis, major projects across numerous sectors were frozen and domestic companies suffered a credit crunch, which, in some cases, even resulted in shutdowns. In this scenario, Brazil’s economy has suffered a severe backlash in the first half of this decade. The gross domestic product had the worst figures ever; two-digit inflation became a serious concern; the market shrank compared to last decade and in addition to this grave situation, credit availability severely decreased. Nevertheless, after changes in the government’s direction in the past couple of years, there is increased confidence in Brazil’s commitment to performing the necessary measures for its recovery and the economy has started to slowly move forward once again. 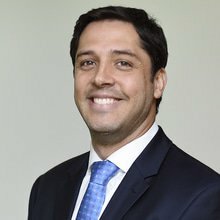 Although the currency has experienced a smooth appreciation during 2016 and remained relatively stable during 2017, the hefty devaluation of the Brazilian real in the previous years along with its potential competitiveness and broad market maintains Brazil as an attractive destination for international private equity investments. In terms of total investments, data from the Brazilian Association of Private Equity & Venture Capital (ABVCAP) and KPMG3 indicates that private equity investment in Brazil during 2016 amounted to US$3.41 billion,4 a decrease of 38.7 per cent compared with 2015.5 Despite the decrease in the total amount of investments in 2016, the number of invested companies remained fairly stable. The transactions performed in 2016 were different from those that occurred in 2017, as they mainly occurred in the real estate and construction industry, retail, food and beverages, financial services and energy sectors, which combined represented 60 per cent of the private equity investments made in 2016. The same study indicates that, the amount of divestment transactions in Brazil in 2016 were reduced by 14 per cent in comparison with 2015. According to data from BM&F Bovespa,6 10 IPOs occurred in 2017, a significant increase in relation to 2016, when only one company went public. However, even with the recent positive results verified in comparison to previous years, the expectation for 2018 is that the number of IPOs will decrease, which is very common during presidential election years. The market will probably be more active in the first semester to avoid the volatility before the elections that will occur in October and resume more intense activity in 2019. A broader analysis, that contemplates investments and divestments by private equity funds through M&A transactions, shows that these funds participated in 128 transactions from January to October 2017, representing more than 24 per cent of the announced M&A deals during such period7 and an increase of 23 per cent compared with the same period of 2016. Of the M&A deals in Brazil announced from January to October 2017, more than 59 per cent involved acquisitions of control. Brazilian practice draws a distinction between the portfolio manager and administrator of investment funds. 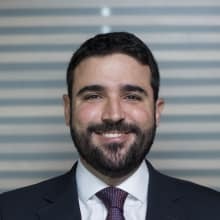 The activity of both entities, regardless of the level of effort made in raising resources, is subject to the rules issued by the Brazilian Securities Commission (CVM). The operation of private equity funds is thus subject to the rules of CVM. Foreign private equity funds are not subject to the CVM’s rules when investing in Brazil. They are simply classified as foreign investors, and as such are subject to the general rules on registration of capital invested in Brazil issued by the Central Bank. 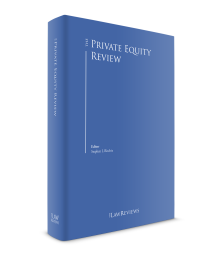 Therefore, since this work already suitably covers other jurisdictions, here we focus on private equity activities in which the portfolio manager is located in Brazil. According to data announced by the Brazilian Association of Financial and Capital Market Entities (ANBIMA),9 in November 2017 the largest private equity fund managers in Brazil in terms of net assets were BB DTVM SA, Bradesco, Itaú Unibanco SA, Caixa and Banco Santander (Brasil SA). The CVM’s rules basically allow an administrator and manager to obtain remuneration in two formats, through administration and performance fees, to be divided between the administrator and manager as agreed between them. The administration fee is charged on a monthly basis as a percentage of the net assets. The performance fee, in turn, is only paid by the investor at the moment of redeeming an investment, as a percentage of the gain, calculated according to the criteria established at the time of registering the fund with the CVM. In general, the manager’s remuneration is substantially higher than the administrator’s, given that the latter usually only distributes the shares and takes care of treasury matters, while the former manages the portfolio by making the investment and divestment decisions. In many cases, the fund names a representative to hold an executive position with the most important investee companies. In this situation, the person in question can receive a stock option plan or other incentive, with the cost in the final analysis passed through to the fund’s investors in proportion to the holding in the company in question. This process can vary according to the complexity of the deal and other particularities. The average time between the term sheet and closing is around four months if the deal is not subject to approval by CADE. The rules of CADE are broad enough to cover a good part of private equity transactions. In such cases, the acquisition documents are signed under condition and the closing can only occur after CADE’s approval. Another common way to sell a corporate stake when there are various interested parties is by competitive bidding. In this case, the negotiation starts with several interested parties, who analyse the preliminary data on the company and submit proposals. Those with values below the expectation of the sellers are eliminated from the running, after which only the prospective buyers with the highest valuations continue the negotiation process, until a final buyer is identified. FIPs must invest their assets in shares, subscription warrants, debentures and other securities convertible into or exchangeable for shares of corporations, both listed and unlisted, as well as securities that represent quotas of limited liability companies, which is the most common company type in Brazil, especially for start-ups. Since FIPs are subject to the rules of CVM, they must submit all their relevant documents, such as balance sheets and portfolio composition, as well as report any intention to issue new quotas of the fund, replace the administrator or amend the by-laws, and of any pending spin-off, merger, consolidation or liquidation. Therefore, the standard investment model of the FIP is to acquire shareholding control or a relevant stake in the controlling block. Control in Brazilian law is defined as holding rights that assure, on a permanent basis, the majority of the votes in the decisions of the general meeting and the power to appoint the majority of the administrators (directors and officers). Participation in the controlling block is defined as being a party to a shareholder or voting agreement that guarantees influence in the decisions of the company. Nevertheless, according to the CVM Instruction 578 of 30 August 2016 (CVM Instruction 578), FIPs are exempted from the requirement of participating in the decision-making process if the investment is reduced to less than half of the original amount invested and constitutes rate below 15 per cent of the company’s corporate capital; or the book value of the investment is reduced to zero. • assets traded in financial and capital markets that are exempt from taxation, provided that they are negotiated by the funds under the same terms and conditions set forth by law for the enjoyment of the tax exemption. In addition, foreign exchange transactions carried out in Brazil are subject to the tax on financial operations regarding exchange agreements (IOF) for inflow and outflow. The standard rate is currently 0.38 per cent for most foreign exchange transactions. IOF is levied at a zero per cent rate on the inflow and outflow of remittances into related investments made by non-Brazilian residents in the Brazilian financial and capital markets. There are other specific rates or exemptions that may apply to certain transactions. Although unlikely in the current economic scenario, the IOF rate, due to its regulatory purpose rather than budgetary, may be increased at any time to a maximum of 25 per cent by the government. Notwithstanding the tax benefits listed above, the requirement to engage an administrator and manager approved by the CVM to structure a local FIP prompts most international private equity players to choose an offshore structure to invest directly in Brazil, outside the capital market. This means that the investment will be classified as a foreign direct investment, regulated by Law 4,131/62. A foreign direct investment can occur by incorporating a new company or investing in an existing one (limited liability company or corporation). In some cases, the direct investment involves setting up a joint venture with a Brazilian company or other investors, and the signing of shareholder agreements, investment agreements or loan contracts, among other mechanisms. In addition, for foreign direct investment both the foreign investor and the receiving company in Brazil must be registered with the Central Bank. Finally, it is also worth mentioning that recent amendments to the Brazilian Federal Revenue Rule No. 1634, as of 6 May 2016 (IN 1634/2016), which governs the registration of national and foreign entities with the Federal Taxpayers’ Registry of Legal Entities of the Ministry of Finance, has established the obligation of foreign shareholders of Brazilian entities and also the Brazilian entities18 to provide the Brazilian Federal Revenue with the information on the relevant corporate chain, including trusts and foundations, up to the individuals deemed as their ultimate beneficial owners, defined, with a few exceptions, as the (1) the individual or individuals who either, directly or indirectly, own, control or significantly influence19 the legal entity; or (2) the individual under whose name a given transaction is performed. Such obligation shall be complied with during any update of any data of the Brazilian or foreign entity’s registry before the Brazilian Federal Revenue, or if no update occurs, until 31 December 2018. Such rule also presents some exceptions to the compliance of such obligation, such as the case of (1) a publicly held corporation incorporated in Brazil or in other jurisdiction that requires the public disclosure of all the shareholders considered relevant and that are not located in jurisdiction with a favourable taxation nor under a privileged tax regime; and (2) the Brazilian investment funds that are regulated by the CVM, provided that the Brazilian taxpayers’ number of all the shareholders of the funds are duly informed by the portfolio administrators to the Brazilian Federal Revenue. It is important to clarify that this is a very recent obligation and even the authorities are still uncertain on their requests for documents and information. FIP administrators and managers must observe the standards of conduct established by the CVM and are liable for losses caused to investors when they act with intentional misconduct or culpability (defined as negligence, imprudence or malpractice) in violation of the law, CVM rules or the FIP’s by-laws. The CVM has also issued specific rules for portfolio managers of funds,20 and any infractions subject them to penalties if they are found guilty in an administrative sanction proceeding conducted by the CVM. Complementary to the CVM’s rules, ABVCAP and ANBIMA have issued the ABVCAP and ANBIMA Code for Regulation and Best Practices for the FIP Market with the aim of raising fiduciary standards and promoting best practices, to allow the gradual integration of the Brazilian investment fund market with the international private equity market. Adherence to this Code is mandatory for those members of ABVCAP and ANBIMA that engage in administration and portfolio management activities. Representatives of the manager named as directors, officers or to other executive positions in the investee companies also have the duties to the company required of administrators in general by the Law of Corporations. Accordingly, they must employ, in the exercise of their functions, the same care and diligence as all active and honest people employ in handling their own affairs, following the law and the company by-laws; they must always act in the company’s best interests; and they must satisfy the greater public good and the social function of the company. The fund administrators or managers must also observe the duties attributed by the Law of Corporations to shareholders. Accordingly, they must exercise the right to vote in general meetings in the interest of the company and can be held liable for any damages caused in exercising their voting right. As mentioned in Section I, signs of a potential economic recovery in 2018 are being seen, after important private equity deals were carried out during 2017. In the education sector, the Group SEB – Sistema de Ensino Brasileiro acquired 80 per cent of COC Florida, an institution based in the south of Brazil, in Santa Catarina, that acts in the secondary school and in pre-college preparatory courses. In May 2017, Brazilian wealth manager Gavea Investimentos Ltda purchased an undisclosed majority stake in local indoor services group GPS Group for an undisclosed sum. Among other important transactions carried out in 2017, Chinese mobile transportation company Beijing Xiaoju Technology Co Ltd has acquired a controlling share in Brazilian mobile phone taxi-hailing application developer 99 Taxis Desenvolvimento de Softwares Ltda (99 Taxis) for around US$960 million, Brazilian business news magazine Exame reported. Also in 2017, Alpargatas SA, the producer of Havaianas flip flops, announced that Brazilian holding company J&F Investimentos SA has agreed to sell its 54.23 per cent stake of the company’s total capital stock for 3.5 billion reais. The buyers are Brazilian holding companies Brasil Warrant Administração de Bens e Empresas SA and Itausa Investimentos – Itau SA and the local private equity firm Cambuhy Investimentos Ltda. The acquisition was concluded in September 2017. The scenario for financing of private equity changed substantially in 2016, due to the issuance of CVM Instruction 578,21 which aimed to unify and modernise the rules about the incorporation, operation and management of FIPs, also consolidating previous amendments to the provisions that rule the structure and guidelines for FIPs. Among the main changes promoted by the Instruction, FIPs are now able to (1) invest on limited liability companies and in non-convertible debentures;22 (2) invest up to 20 per cent of their net equity in offshore private equity assets; and (3) have authorised capital, which means that the administrator may issue new quotas in FIPs without requiring a new investors’ approval. The Instruction also created different categories of FIPs, such as the FIP – seed capital, which allows the use of FIPs under certain conditions as a vehicle to invest in start-ups companies. Furthermore, the administrator may create different classes of quotas that may have different rights, permitting differentiation as to, among other things: hurdle rates; management fees and performance fees; the timing of capital calls, amortisation and redemption; and veto rights and the appointment of members of committees. In order to harmonise the Brazilian accounting principles with international standards, FIPs qualified as investment entities shall mark the portfolio assets according to their fair value, while FIPs that do not qualify as investment entities shall register their investments in accordance with the rules applicable to affiliates of publicly traded companies and are now required to prepare and submit audited financial statements whenever there is a material change in the fair value of the investment company during the fiscal year. In this regard, CVM Instruction 579 was issued on 30 August 201623 creating new rules for the provision of financial statements of FIPs, outlining the accounting methods for the classification of assets and liabilities. Acquisitions of control are characterised by the signing of documents that protect the purchaser from possible liabilities not reflected on the balance sheet at the time of closing, including instruments to adjust the price, escrow accounts and similar arrangements. Additionally, with the alteration of the rule for prior submission of transactions involving a change in control to CADE, the moment of closing now occurs in some cases several months after execution of the binding documents. This makes it more necessary than ever to include protective clauses covering price adjustment and material adverse change. In cases where a particular shareholder has great importance in the development of the company’s business plan, a lock-up clause can be used, by means of which this shareholder cannot sell the respective shares during a certain period, to assure that the transition to management by the new controllers will occur as smoothly as possible. The expectations to the year of 2018 are high: the market has already in its pipeline a list of six companies that may become public shortly before the end of the first semester of the year. The companies want to do their offers before the electoral timetable affects the pockets of national and foreign investors. Private equity deals can be carried out by means of offshore structures, with capital raising and legal structuring done outside the country, resulting in a foreign direct investment from the standpoint of the Central Bank; or through transactions carried out by funds domiciled in Brazil, subject to the rules of the CVM. Besides issuing rules on the capital market and investment fund industry, the CVM oversees the activities of players and enforces rules through investigations and administrative proceedings. Punishments for wrongdoing range from a formal warning to the application of fines and even a prohibition on operating in the capital market. In addition to this, many sectors of the Brazilian economy are subject to the specific oversight of regulatory agencies. There are currently 10 such agencies, all established between December 1996 and September 2001: the National Telecommunications Agency; the National Petroleum, Natural Gas and Biofuels Agency; the National Electric Energy Agency; the National Supplementary Health Agency; the National Sanitary Surveillance Agency; the National Water Resources Agency; the National Cinema Agency; the National Waterway Transport Agency; the National Land Transport Agency; and the National Civil Aviation Agency. Some of these agencies regulate M&A transactions, enforcing respective technical, legal and financial requirements to be observed by the parties involved, and must also be consulted before concluding changes of control, meaning that their approval must be obtained before closing a deal. In such cases, both the regulatory agency and CADE have the power to block transactions. The private equity industry in Brazil has been growing strongly in the last couple of decades, and there is great demand for investments in various sectors of the economy, especially in Brazil’s infrastructure, and in the petroleum and hospitality sectors. The environment for private equity investments has also been continuously modernising and adjusting to the reality of the international markets. Other measures to expand the private equity market are being put in place, such as specific rules for investments in special segments or in organised over-the-counter markets. Some important challenges to investments in the country need to be overcome, such as the complex and burdensome tax system and the high level of regulation of the economy. It is thus necessary to retain specialist advisers before making investments in Brazil. 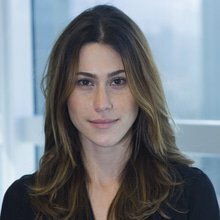 1 Marcus Vinicius Bitencourt and Luiz Augusto Osório are partners and Laura Angrisani is an associate at Campos Mello Advogados. 2 Information from PwC: ‘Fusões e aquisições no Brasil’, October 2017. Available at www.pwc.com.br. 4 The monetary values mentioned herein have been converted from Brazilian reais to US dollars at the exchange rate for 31 December 2017, as published by the Brazilian Central Bank. 5 Variations considering the amounts in Brazilian reais. 6 Information available at www.bmfbovespa.com.br. 7 Information from PwC: ‘Fusões e aquisições no Brasil’, October 2017. Available at www.pwc.com.br. 8 CVM Instruction 558/15, in force since 4 January 2016, rules the activities related to the securities portfolio administration. 9 Ranking of investment fund managers, available at www.anbima.com.br. 10 Information from a report of ABVCAP in partnership with Insper. 11 CVM Instruction 578, mentioned below. 12 Namely: they may not issue founders’ shares or have any such securities outstanding; they must call for a unified term of one year for all directors; they must disclose the terms of contracts with related parties, shareholder agreements and stock options and other similar programmes; they must pledge to resolve corporate disputes by arbitration; in the event of going public, they must undertake to the fund to adhere to a trading segment of an exchange or organised over-the-counter market that requires enhanced corporate governance, as per the preceding items; and their annual financial statements must be audited by an independent auditor registered with the CVM. 13 Resolution 4,373 of 29 September 2014, from the National Monetary Council. 14 Brazilian law defines more than one concept of favourable tax jurisdiction. However, the concept that matters for this particular analysis refers to foreign investments in the Brazilian financial and capital markets pursuant to CMN Resolution 4,373/14. Accordingly, the applicable concept of favourable tax jurisdiction refers to a country that does not tax income or that taxes income at a rate lower than 20 per cent or does not provide information regarding the equity partners of legal entities, its owners or the beneficial owner of the income paid to non-residents. The standard tax rate of 20 per cent to identify privileged tax regimes is reduced to 17 per cent if the country follows the international standards of tax transparency (Ordinance MF 488/14), as established by the RFB. The Brazilian tax authorities have listed some jurisdictions as favourable tax jurisdictions. Historically the tax authorities have viewed such list as being a numerus clausus list, namely, any jurisdiction not appearing on the list will not be deemed as a favourable tax jurisdiction. In 2017, Costa Rica, the Island of Madeira and Singapore were removed from the referred list. 15 Such 40 per cent ceiling considers the following related parties of the investor of the FIP: (a) regarding individuals, (1) its relatives up to the second degree, (2) company controlled by the investor or by any of its relatives up to the second degree and (3) partners or managers of the company controlled by the investor or its relatives up to the second degree; and (b) regarding legal entities, the one that is its controller, controlled or affiliated. 16 Section 11 of recently enacted Provisional Measure No. 806/2017 revoked such requirement which, in our understanding (see below), is expected to be in force as of 1 January 2019. 17 If the fund regulations restrict its quotaholders to non-resident individuals only, the fund is also allowed to invest in assets whose gains will be exempt from individual income tax under Section 3 of Law 11,033/2004 (e.g., certificates of real estate receivables (CRIs), real estate investment funds (FIIs)). 18 This obligation was also applied to the Brazilian entities by means of the enactment of the Declaratory Executive COCAD Act No. 9, as of 23 October 2017, issued by the Brazilian Federal Revenue. 19 Pursuant to Article 8º §2º of the Brazilian Federal Revenue Rule No. 1634, as of 6 May 2016 a significant control or influence is presumed whenever the individual (1) holds, directly or indirectly, more than 25 per cent of the entity’s corporate capital, or (2) holds, directly or indirectly, the power to control the entity’s corporate decisions and to appoint the majority of its managers. 20 CVM Instruction 558/15, in force since 4 January 2016, sets forth the conduct rules that administrators and portfolio managers are subject to in the performance of their duties. 21 Although the referred CVM Instruction was enacted in August 2016, the FIPs had until August 2017 to adapt the new rules. 22 Previously, according to CVM Instruction 391, FIPs could only invest in corporations and not in limited liability companies. Additionally, FIPs could not invest in non-convertible debentures, but only in the convertible ones. 23 The referred CVM Instruction became applied to accounting periods initiated in or after January 1st, 2017. 24 Article 254-A of the Law of Corporations determines that the buyer must launch a public tender offer to acquire the voting shares owned by the other shareholders at a price per share of at least 80 per cent of that paid for the shares in the controlling block. In the case of companies listed in the Novo Mercado and Level 2 trading segments of the BM&F Bovespa (the top two enhanced governance segments), the public offer must target all the remaining shares, for the same price paid to those of the controlling block, to assure equal treatment between minority and controlling shareholders. 25 ‘Cases de Private Equity e Venture Capital: Construindo empresas para o futuro’, ABVCAP. October 2013.